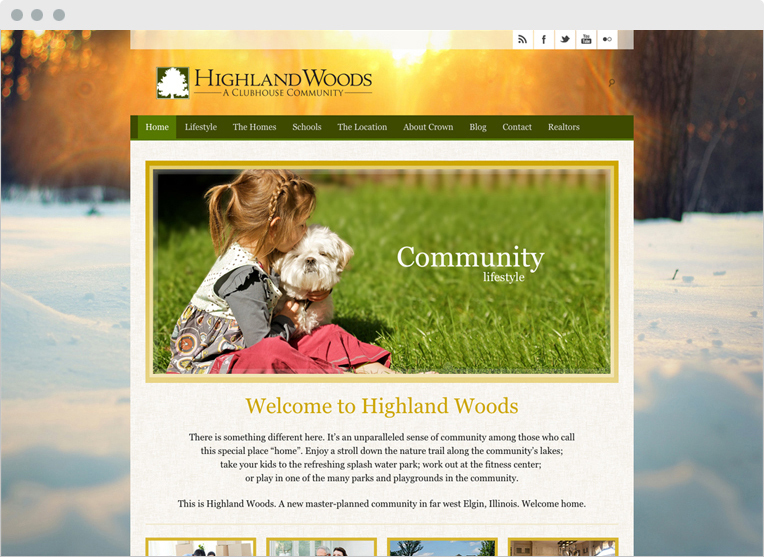 Highland Woods is a clubhouse community in Illinois. 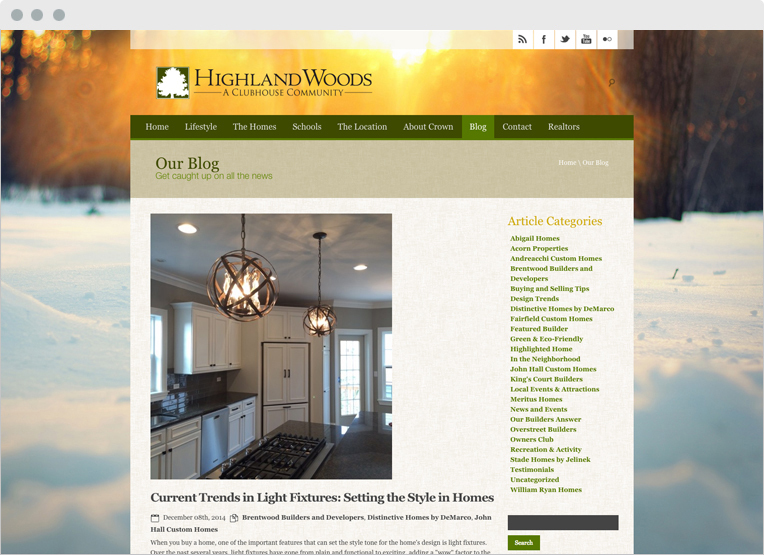 The goal of this site was to create a lifestyle that visitors could imagine themselves living in their new home. 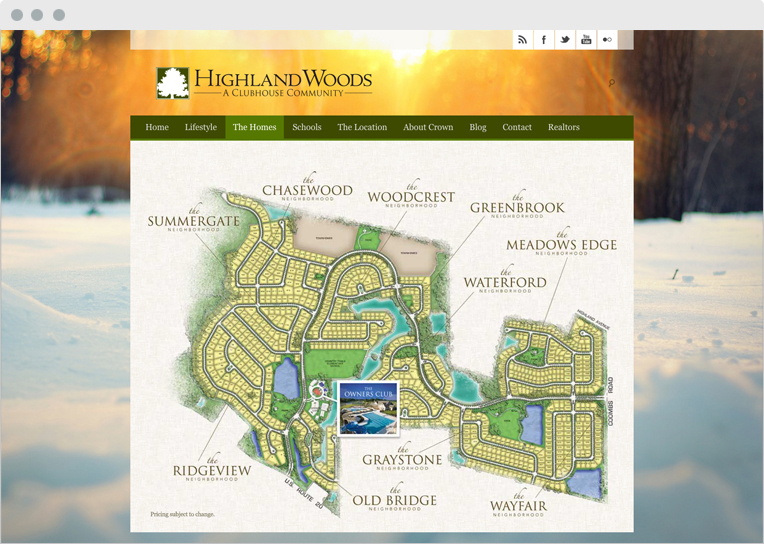 The site presents various area amenities, different builder floorplans, as well as an interactive site map allowing a visitor to see the different lots available throughout the community. 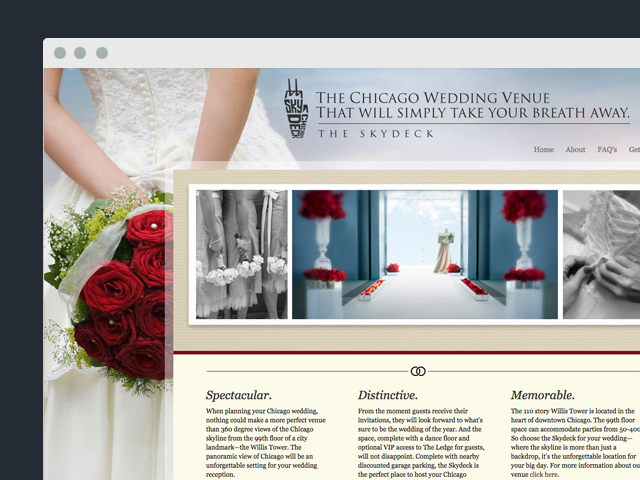 The site also features a blog which allows our team to post newsworthy articles in and around the community. 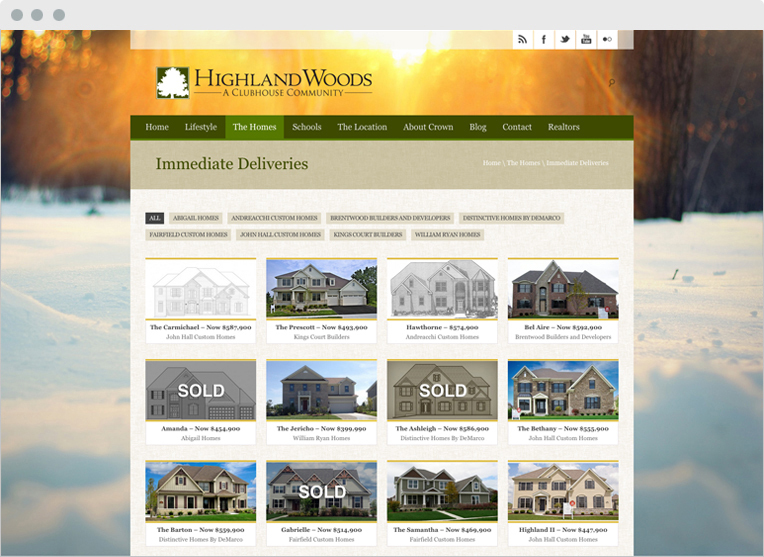 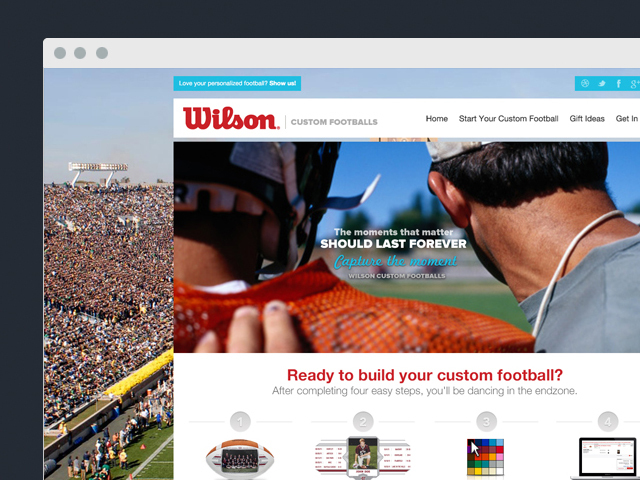 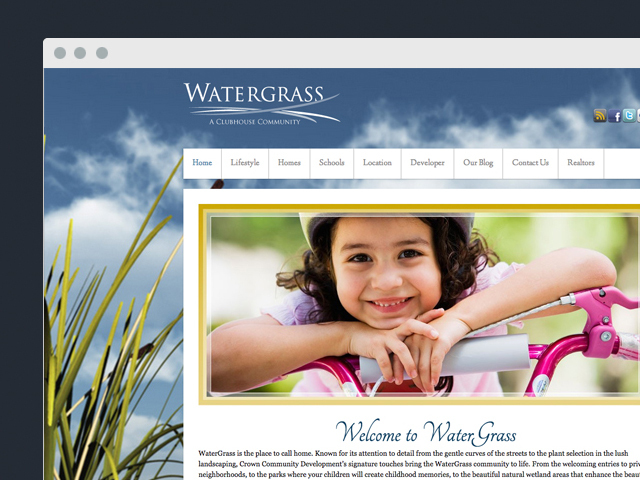 The site is also responsive allowing all content to be viewed on multiple devices.